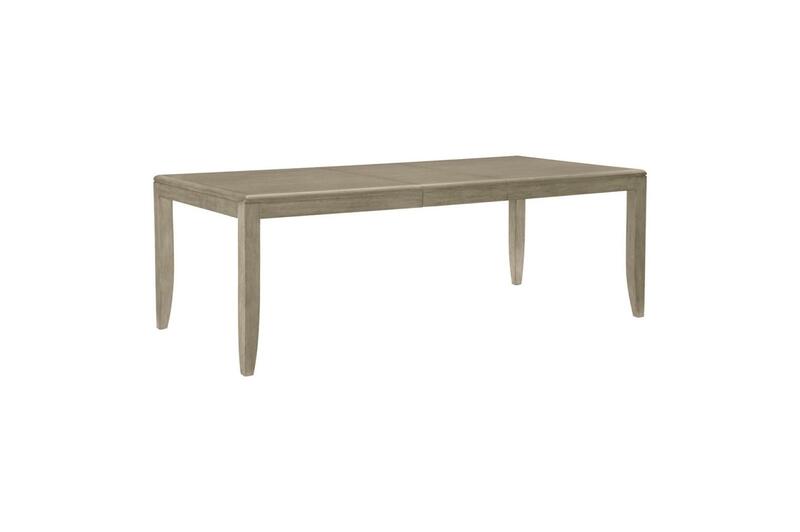 W68" - 86" x D42" x H30"
W20" x D23.75" x H38"
W23.25" x D23.75" x H38"
W56" x D17" x H36.25"
W48" x D19" x H76"
The sophisticated modern styling of the McKewen Collection brings refined design to the elegant space of your dining room. 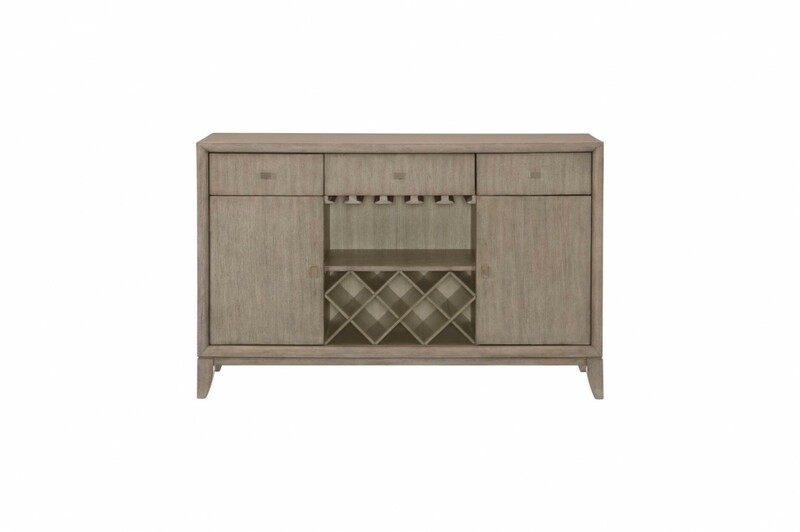 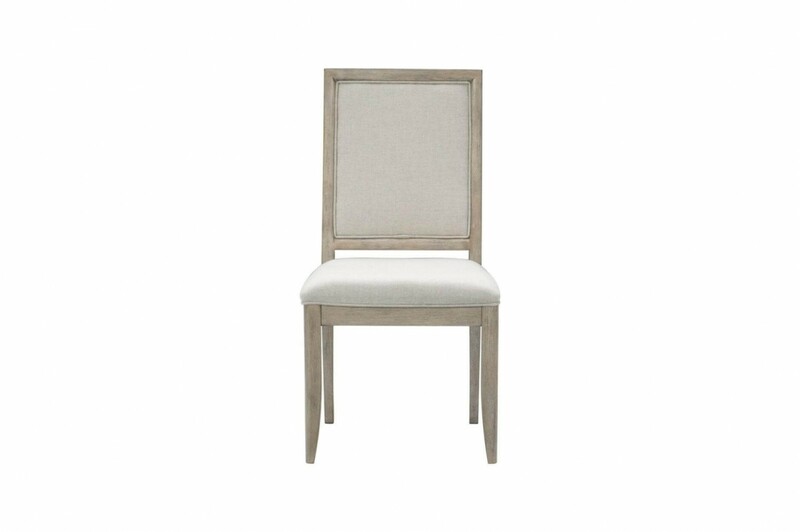 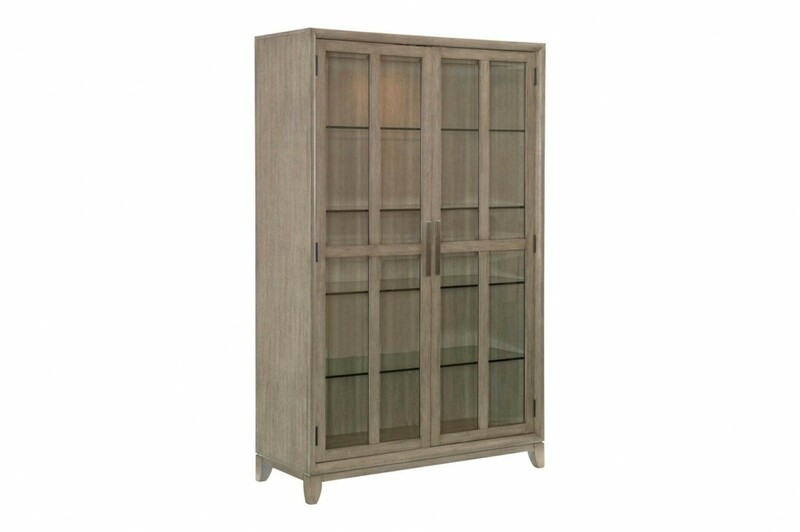 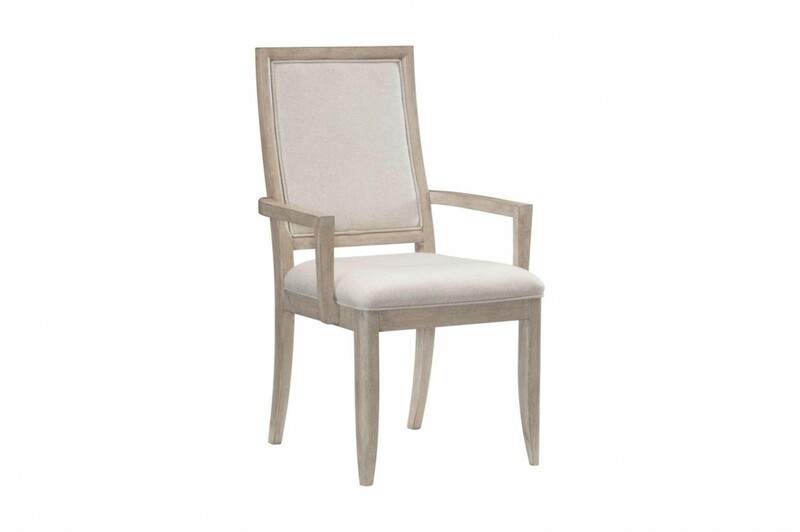 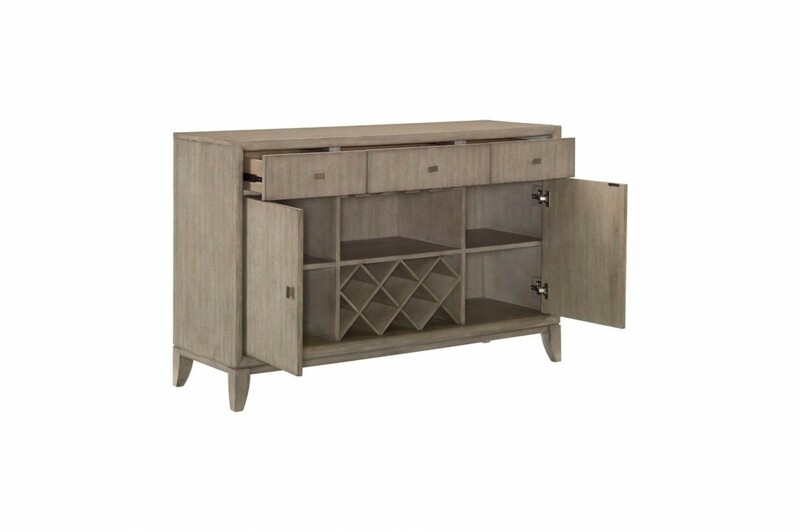 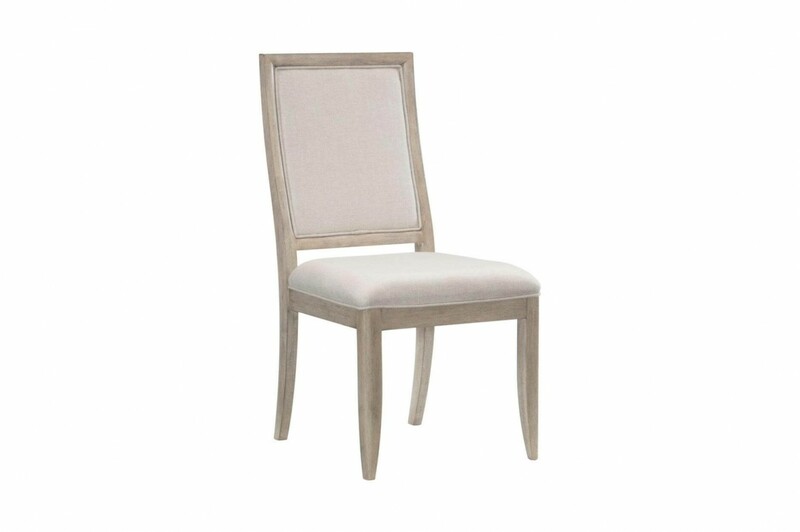 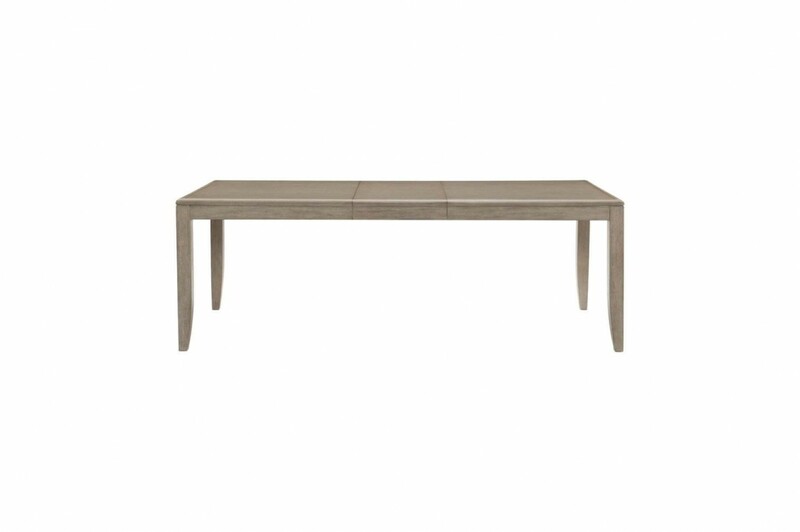 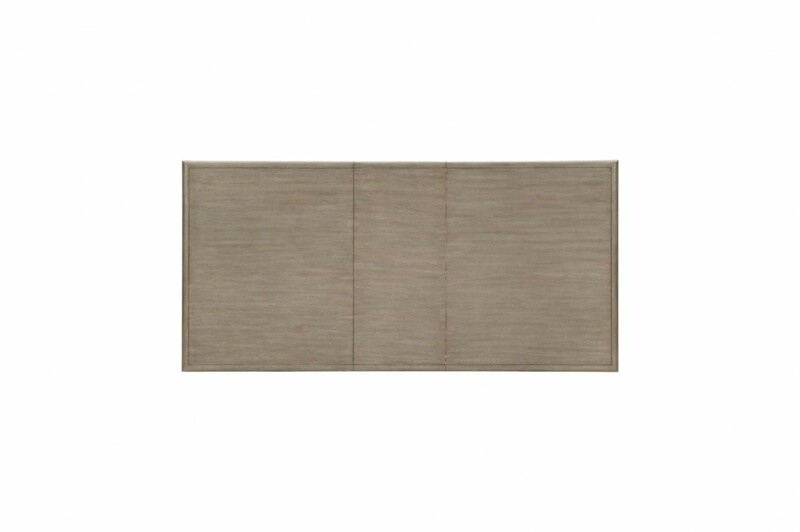 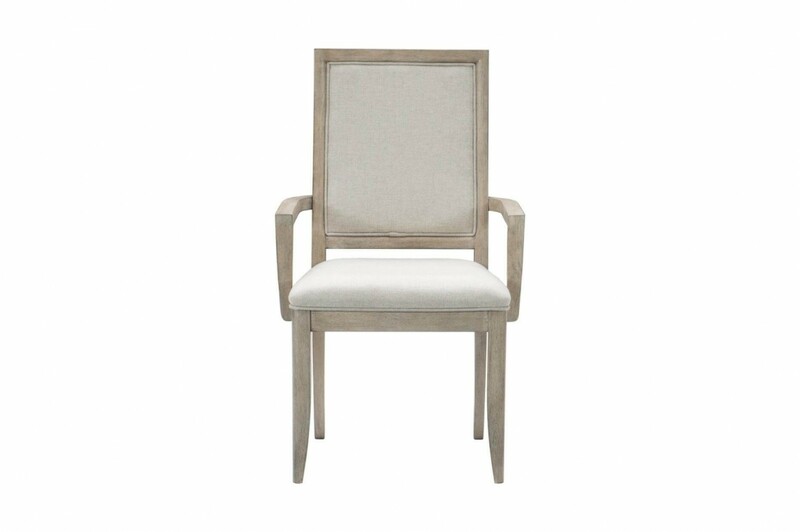 The oak veneer, over poplar solids, is finished in a light gray finish that is perfectly complemented by the neutral tone of the arm and side chair’s fabric and the vertically mounted silver-finished metal hardware that centers each drawer and door front. 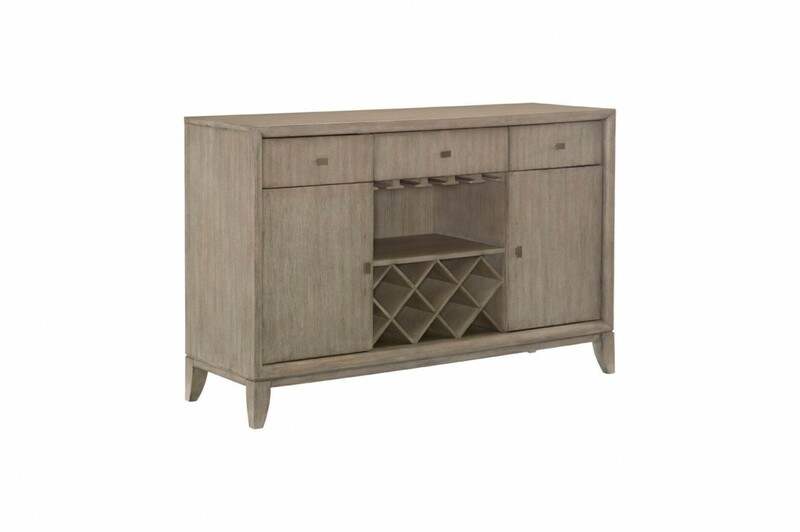 Providing ample storage for your tabletop accessories are the available china and server. 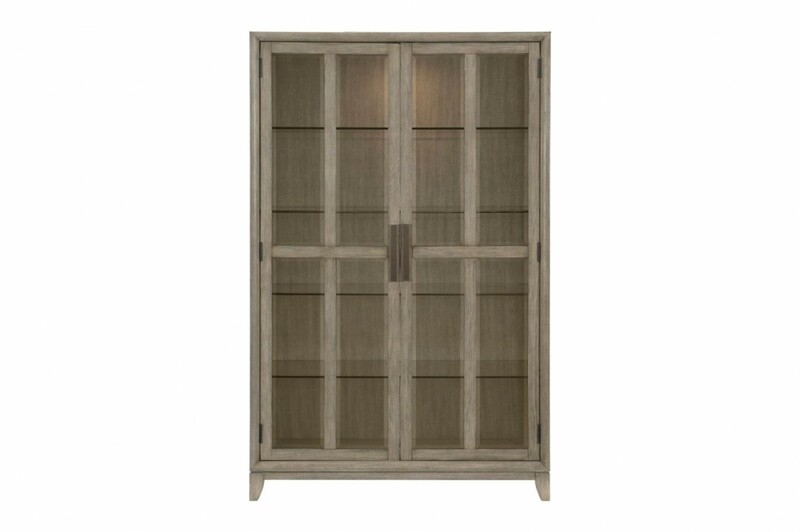 The china features glassfronted doors and shelves that allow for dramatic display while the server has wood fronted doors and drawers for more discrete storage. 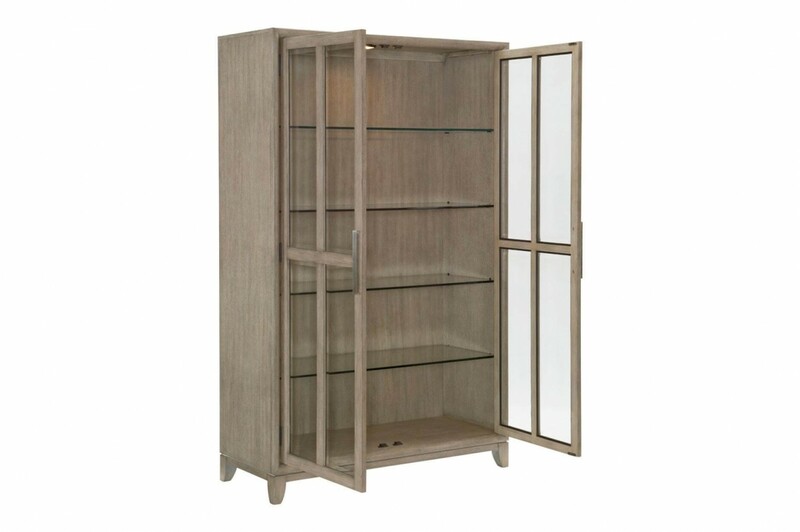 The wine bottle shelving and hanging wine glass rack further enhance the functional capability of the server.